NRS Navigator is a superb lightweight but tough, premium drysuit that's ideal for touring in a kayak or canoe. Supremely comfortable, this 4-layer drysuit is comfortable and perfect for long days adventuring. 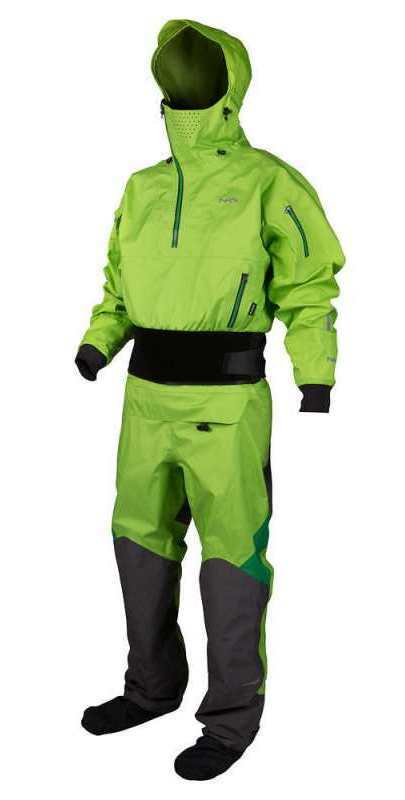 NRS Navigator is a big step up in the world of drysuits. The Navigator is lightweight, supremely comfortable and ideal for long days touring or even just day trips out. The cut and weight of the NRS Navigator makes it perfect for open canoeing, touring and an ideal drysuit for sea kayaking. The superb cut of the Navigator gives you an almost tailored feeling and once it is on, it feels like no other drysuit because it weighs so little. There are no internal braces to get caught up in, just a brilliant and easy fit. The NRS Navigator is made from NRS' 4-Layer Eclipse material which gives you maximum waterproofness, warmth and breathability, with additional re-inforcement in all the usual heavy wearing areas. The NRS Navigator drysuit combines the best features for canoe and kayak touring featuring latex seas at the wrists and a neoprene neck seal. This provides the maximum protection at the wrists and superb comfort around the neck just where you need it on long days out. All plastic Heavy-duty TIZIP® MasterSeal zippers are fitted to the Navigator dry suit on both the entry and relief zips. 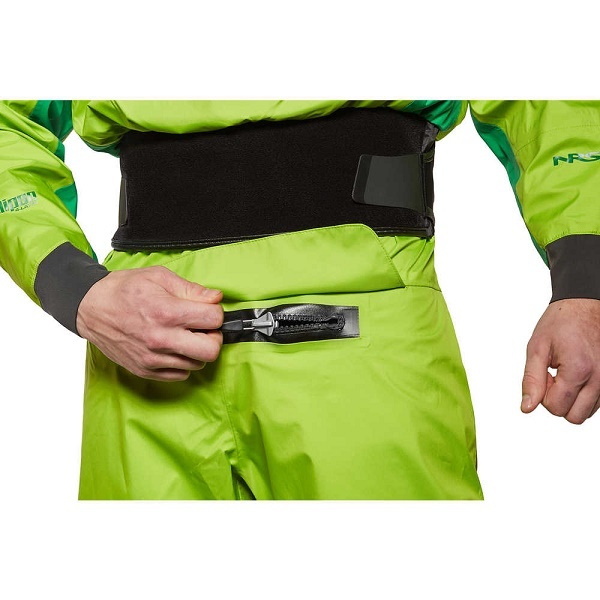 Getting into and out of the NRS Navigator is easy using the long rear shoulder entry zip. Fabric socks, a front relief zip and hood all make the NRS Navigator a superb drysuit for canoe or kayak touring. The built-in waterproof socks are also a feature made from the same high quality material as the rest of the suit. If you are looking for a drysuit that not only performs to the highest leves but also maximises your comfort while on the water. Look no further than the NRS Navigator. The NRS Navigator Drysuit features a neoprene volcano-style neck gasket in place of latex. The GlideSkin™ neoprene neck gasket keeps nearly all water out while being more comfortable than latex for long days and extended tours. The NRS Navigator Drysuit is available for delivery thoughout England, Wales, Scotland, Northern Ireland & Ireland. The NRS Navigator Drysuit is available for instore collection from Norfolk Canoes or from any branch within the Canoe Shops Group.